We're sharing these free guides to help you grow your Facebook page for your business. We pulled the information directly from our WMU Facebook for Business Online Courses. If you're interested in using Facebook to help grow your business consider taking one of our courses. We're re-opening enrollment for our Ultimate Facebook for Business Online Course and this time we are also offering our Complete Facebook for Business Online Course. 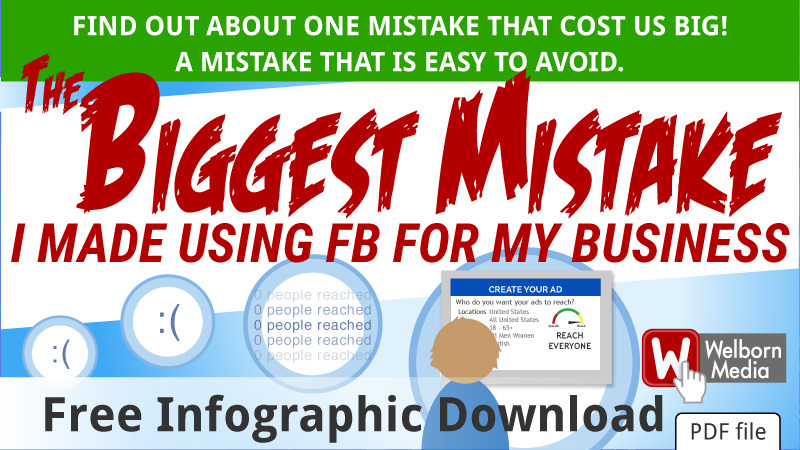 What is your biggest mistake using Facebook for business?